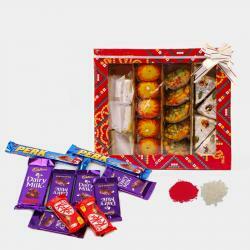 Product Consists : 500 Gms Kaju Katli Box, 500 Gms Dry Fruits Box, Cadbury Celebration Chocolate Pack (Weight : 140 Gms) along with Free Roli Chawal. 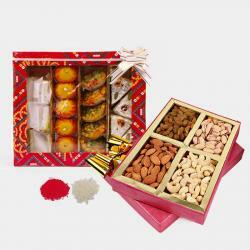 If you are looking for splendid gifts to treat your brother to on special occasion of Bhaidooj then here is a wonderful hamper for you. 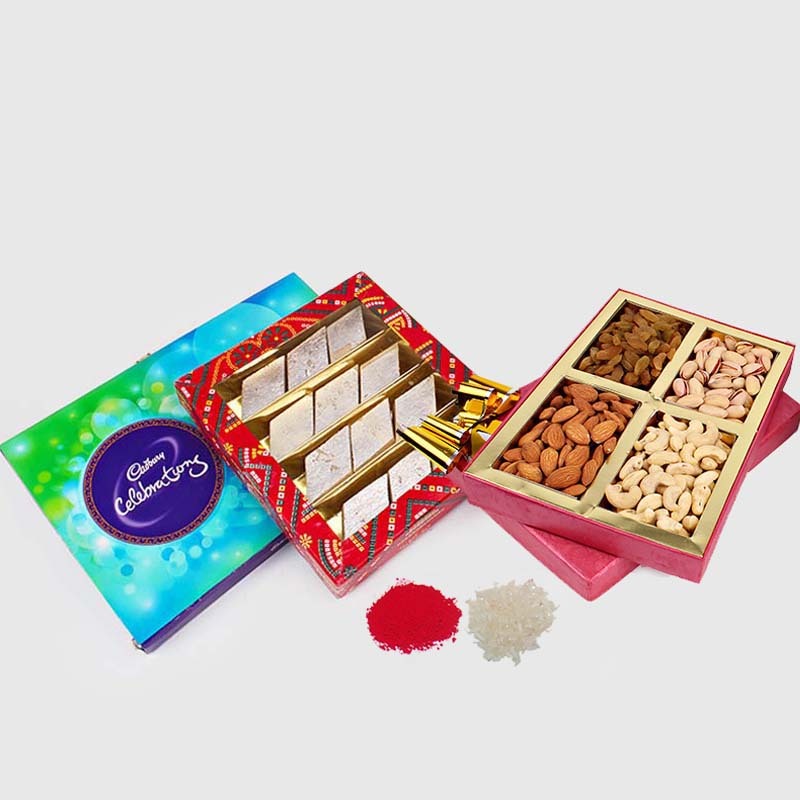 This is a classy gift set that consists of 500 Gms assorted dry fruits like almonds, cashew nuts in a box and Kaju Katli sweets with Cadbury Celebration Chocolate Pack. Brother always helped while you are in trouble, He made her sister to feel safe when she was scared. Thanks is insufficient for all this. 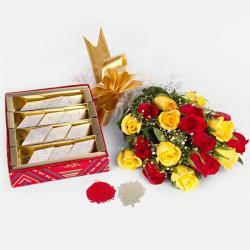 Express him how much you love and care by gifting this wonderful gift. 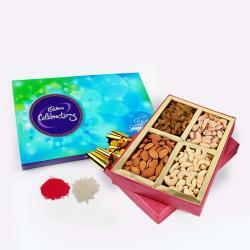 Product Consists : 500 Gms Kaju Katli Box, 500 Gms Dry Fruits Box, Cadbury Celebration Chocolate Pack (Weight : 140 Gms) along with Free Roli Chawal.